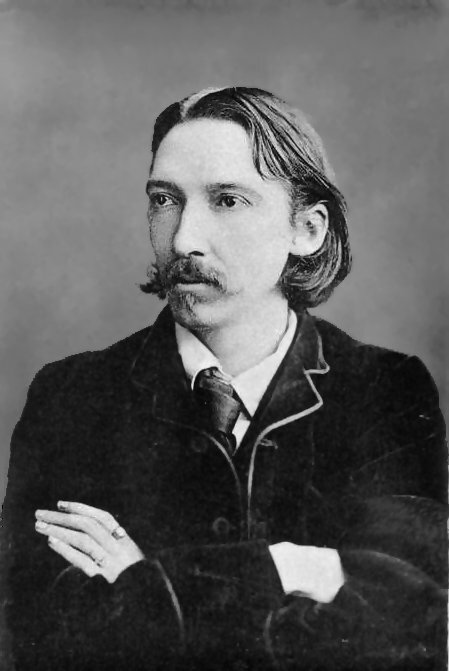 One of Robert Louis Stevenson’s very last books was Ebb-Tide. His step-son Lloyd Osbourne shared the credit for this 1894 work but it seems clear that Stevenson wrote all the second part (‘The Quartette’) and heavily revised the first part (‘The Trio’). Briefly, the story is of a trio of ‘on the beach’ bums; each a failure in his own way, each hiding his real identity, each close to the point of death or despair on the wind and rain swept beach of Samoa. But one, Davis, an American sea-captain, whose drunkenness lost his previous ship, is offered a cargo, taking on a cargo of Californian champagne to Sydney. Accepting, he persuades the other two to sail with him, despite their complete ignorance of the sea. Huish, the ‘dwarfish’, “vulgar and bad-hearted Cockney clerk” is all too keen; the other, Herrick, an Oxford graduate with a tattered copy of Virgil still in his pocket (perhaps – as he reflects – because he hasn’t been able to sell it) is reluctant. Despite his education and his good intentions he has had “a career of failure” and suicide seems increasingly the only honourable way out. But, for Davis’ sake, he takes on the role of mate. Huish is sent forward to join the remnants of the crew of islanders, spared by the smallpox that has killed the previous captain and mate. Davis’ plan is to sail the ship not to Sydney but to Peru and there sell cargo and schooner to pay off his debts and return to his wife and children. In his fantasy he is laden down with turkey and sucking-pig, bottles of Madeira and champagne, and crackers and presents for his ‘piccaninnies’. Though Herrick pulls back from drunken abandonment, the other two work their way through two cases a day. The captain comes close to losing the ship when, in a drunken fit of exuberance, he crams on more and more sail in the face of a vicious squall. Once through the crisis – thanks to Herrick’s intervention – he sobers up and repents, determined to drink no more. As the first part of the story ends, it’s become clear that (like Davis and Huish) the previous captain and mate had spent their voyage drunk; that whilst the top layer of the cargo is “the genuine stuff”, below it’s only water in champagne bottles and that the previous voyage had been an insurance scam. The riches the three ‘co-adventurers’ had imagined would be theirs on the sale of the cargo evaporate and – desperately short of provisions – they look starvation, ruin and disgrace in the face. For the violent and shocking resolution, read the story for yourself. At one level this is a typical Stevensonian adventure story: vivid and complex characters whose secret pasts and hidden desires animate even the ‘penny dreadful’ nature of Stevenson’s plots. At another level, it throws light on both Victorian attitudes to champagne and to Stevenson’s own troubled relationship with addictive substances and behaviours. In Victorian novels and newspapers there was often a dark underbelly to what they called champagne (which was rarely from Champagne, often adulterated, frequently mis-sold and rarely wholesome unless you were prepared to pay the price of the ‘celebrated brands’). In the British newspapers, champagne is frequently associated with loose women – in descriptions of their behaviour, in accounts of licensing law transgressions in brothels (always of more interest to the authorities than any sexual misconduct), in divorce cases, in scandalous murders such as the Balham poisonings. 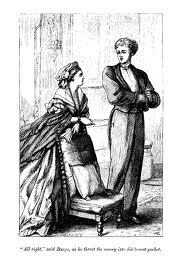 In the sensationalist novels of Wilkie Collins, it’s the chosen seduction tool of the ageing Lothario Major Fitz-David in The Law and the Lady (1875) whose champagne has been “bottled expressly for the ladies”. In the more restrained novels of Anthony Trollope, it’s the drink of scoundrels such as Burgo Fitzgerald, the divinely handsome rake, or the louche Colonel Marrable, who gambles away his son’s inheritance; it’s the preferred lubricant of social-climbing swindlers such as Augustus Melmotte. Less overtly evil, it’s the “popping powder” for young men who want to work up the courage to ask their intended for her hand (though this courage can quickly spill over into transgressive behaviour such as when the oleaginous Obadiah Slope tries to force himself on to the beautiful and virtuous Eleanor Bold). For the Victorians – and many of their medical men – champagne’s great virtue was as a stimulant. It was prescribed in cases of influenza. It was a ‘brace’ to action. It gave men “the edge’ to undertake desperate deeds – as well as to restore the ‘below par’ (which the sickly Stevenson frequently was) to health. In the Ebb-Tide, the constant intake of champagne helps to cure Huish’s influenza; he even begins to “lay on flesh”. Though he is never sober, he is “never wholly tipsy” and the drink even reinforces his only virtue, that of ‘courage’ though this eventually leads him to a horrible death. At the same time, the champagne “undoes” the drinkers. As we have seen, Davis is reduced to insensibility, a “flushed and snorting body”. Sober, later, he talks of Attwater as “smart as champagne, as hard as nails”. Hard as nails he clearly is, but Attwater, however, has no champagne on his island, though there are ample stocks of superb sherry (‘Spiers & Ponds’ Amontillado’), Brane-Mouton claret and liqueurs to complement the ‘glittering crystal’ on the table. Perhaps the island entrepreneur (who “glows with religious zeal”) has no need of the temporary stimulus of champagne. He finds evidence in Stevenson’s own relationship with alcohol. The writer had been liberally dosed with antinomial wine (sherry with tartaric antimony) as a child in a vain attempt to cure his colds and lung infections (his wife Fanny was sure that this was what had ruined his constitution). He described himself as “interested in all wines, and have been all my life, from the raisin wine that a schoolfellow kept secreted in his play-box up to my latest discovery”. The wine which Stevenson describes in Ebb-Tide had come from San Francisco. Nearly fifteen years before in 1880, Stevenson had visited two producers in Napa Valley, one of whom, Jacob Schram, he described in The Silverado Squatters (1883). In this wild spot, I did not feel the sacredness of ancient cultivation. It was still raw, it was no Marathon, and no Johannesburg; yet the stirring sunlight, and the growing vines, and the vats and bottles in the cavern, made a pleasant music for the mind. Here, also, earth’s cream was being skimmed and garnered: and the customers can taste, such as it is, the tang of the earth in this green valley. So local, so quintessential is a wine, that it seems the very birds in the verandah might communicate a flavor, and that romantic cellar influence the bottle next to be uncorked in Pimlico, and the smile of jolly Mr. Schram might mantle in the glass. But these are but experiments. All things in this new land are moving farther on: the wine-vats and the miner’s blasting tools but picket for a night, like Bedouin pavilions; and tomorrow, to fresh woods! This stir of change and these perpetual echoes of the moving footfall, haunt the land. Men move eternally, still chasing fortune; and fortune found, still wander. As this passage shows, Stevenson, like his fellow thriller writer Wilkie Collins, was one of the first to bring into descriptions of wine the sensual rather than the purely functional attributes of strength and sweetness. Ebb-tide draws on both Stevenson’s fascination with wine and alcohol (and his awareness of how alcohol can transform and undo its drinkers) and his childhood upbringing as the son of a lighthouse engineer, who spent his summers sailing the often wild seas of Scotland. But, it is not just an adventure story – it throws deep insight into the alcohol debates of the late 19th century. Do read it. Spiers & Pond were well-known Victorian caterers and wine merchants. They also ran their own restaurants. Stevenson, Robert Louis. 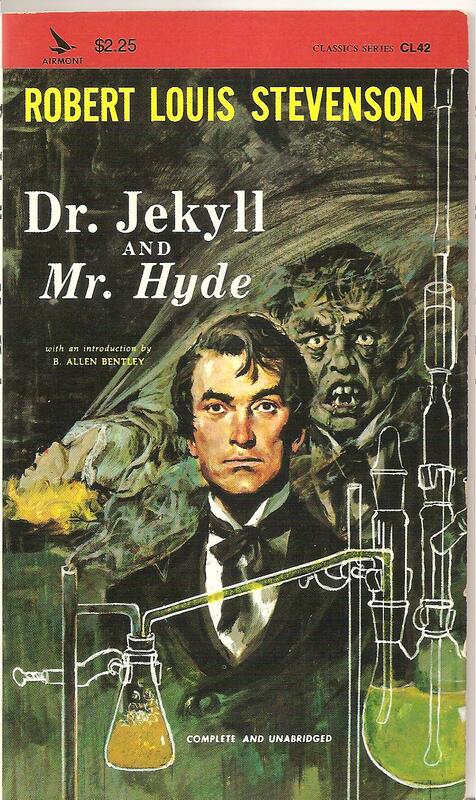 Dr Jekyll and Mr Hyde First published in London in 1886 (seven years before Ebb-Tide). Reed, Thomas. Transforming Draught : ‘Jekyll and Hyde’, Robert Louis Stevenson and the Victorian Alcohol Debate. Jefferson, North Carolina, McFarland, 2006. Travels with a Donkey in the Cévennes, published in 1879, is Stevenson’s account of a 120 mile trip he made in autumn 1878. The Schramsberg Winery still exists and specialises in sparkling wine. See www.schramsberg.com. 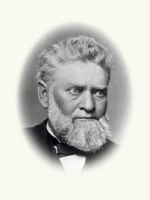 Perhaps it was from Jacob Schram that Stevenson heard of the trade in Californian sparkling wine with Australia. 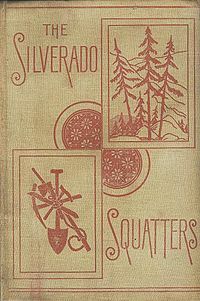 Silverado Squatters, published in 1883, was Stevenson’s account of his two month honeymoon trip with Fanny Vandgrift and her son Lloyd Osbourne to Napa Valley 1880. This entry was posted in The Miscellany and tagged champagne, fraud, Robert Louis Stevenson. Bookmark the permalink. Dear Mr Harding, in “the Wrecker” (1892) novel of R.L. Stevenson you can find some references to alcohol: the two heroes sold beer and when one go to weeding another offer Perrier-Jouët Champagne.